Ahlen, July 2017. – At this year’s Muuuz International Awards (MIAW) Kaldewei’s new Miena washbasin bowls received the prestigious MIAW design & innovation award 2017 in the “Kitchen and Bath” category. Made of superior KALDEWEI steel enamel and designed by Anke Salomon, the product line won the jury over with the high standard of its minimalist design. The Muuuz International Awards, staged by the French ArchiDesignClub and its magazine, Muuuz – a leading trade journal for architecture and design – recognise outstanding products in the areas of architecture, layout and decoration. Kaldewei’s fine-edged washbasin bowls impressed the jury with their elegant lines and their versatility when it comes to interior design. The fluid contours of the Miena product line lend it an extraordinary lightness while the distinctive properties of the material, steel enamel, heighten the sense of flawless purity still further. Miena washbasins can be placed at will on a support plate or console and are thus not subject to the conventional dimensions of bathroom furniture. Thanks to the enamelled waste cover and an especially harmonious range of different colours, the Miena washbasins can be paired with a vast range of bathtubs and enamelled shower surfaces from the Kaldewei portfolio – entirely in keeping with the “Perfect Match” approach. The Muuuz International Awards (MIAW) are organised by the ArchiDesignClub and Muuuz magazine. The ArchiDesignClub is an association of French architects, graphic artists and interior designers. Its magazine, Muuuz, is available in over 20 countries and serves as a source of inspiration for architects and designers. Muuuz and the ArchiDesignClub are brands owned by the Ficade Group. 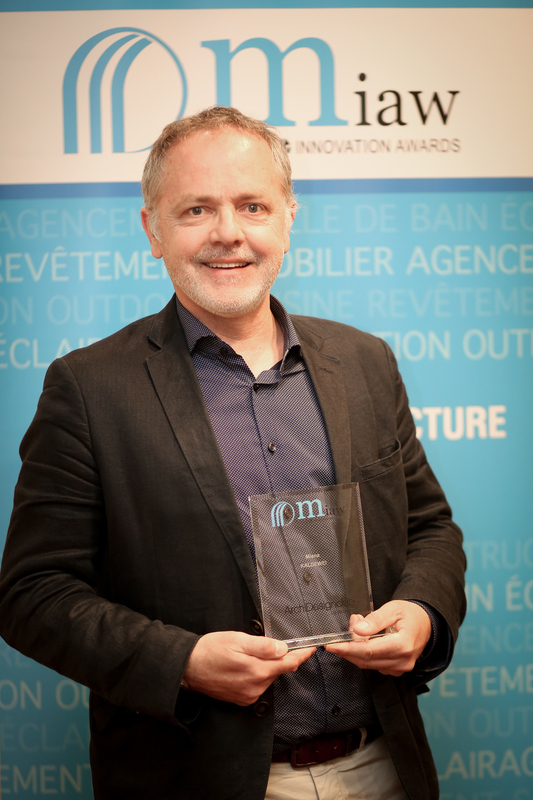 Kaldewei Sales Director Raymond Piquemal accepted the MIAW design & innovation award 2017 for the Kaldewei product line Miena. The fine-edged washbasin bowls impressed the jury with their elegant lines and the diversity of their interior design potential. 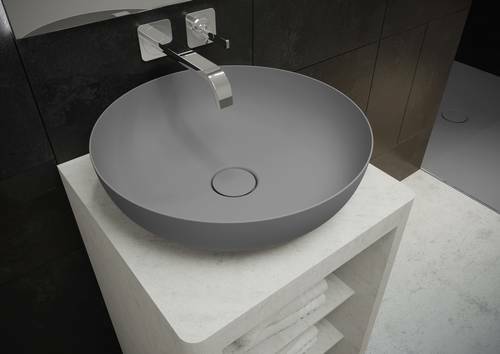 In presenting its new Miena washbasin bowls made of superior steel enamel Kaldewei has delivered yet another highlight of modern bathroom design. 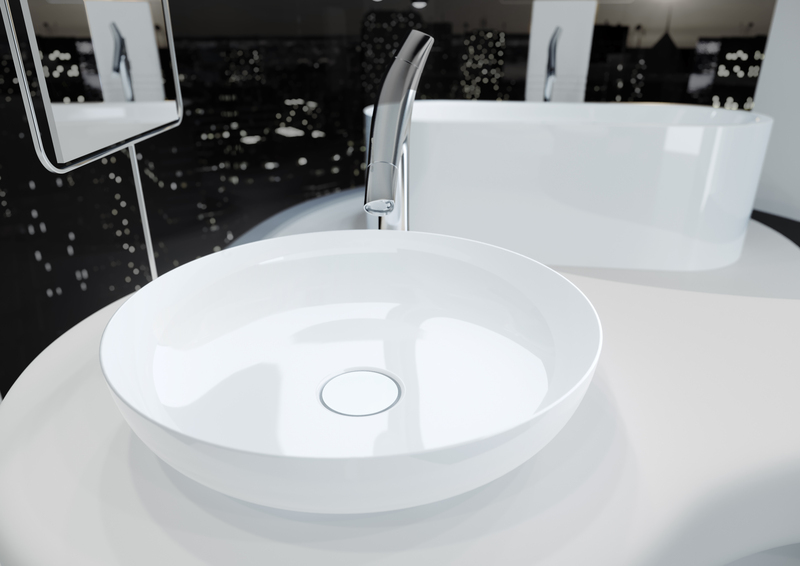 Made with a single wall of steel enamel, the washbasins combine the highest standards of minimalist design with a unique, almost fragile delicacy. What is completely new is the diversity of colour: in addition to the classic bathroom colours, customers can also choose from the exclusive shades of the Coordinated Colours Collection.